Do you want to open a personal Premium Bank account quickly and easily? Even without comming to Tbilisi at Georgia? We have a special offer of our partner banks in Georgia, Tbilisi. Opening bank accounts is possible remotely as well as during a one-day visit. An International passport is all you need to open a personal bank account, no tax residency certificates, rental agreements, utility bills, etc. are required. Banks offer online banking in English and Russian, multi-currency accounts are available, ability to carry out international transfers and debit cards. Georgian banks open accounts for citizens from virtually any country in the world. 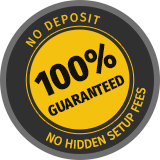 Minimum deposit is not required and maintenance fees are very low. You will have personal banker who will help you in any questions and request that you have about banking service. We will order for you for free the highest class debit card – Visa Platinum, which has 10 000 GEL (apporx. 3 500 EUR) (equivalent in other currencies) withdrawal limit from ATM daily. You will get distance service for free – your personal banker will serve you by Email bank service. Bank members are served in special offices – lounges, where is not parking or waiting problems. You can use lounges also for your personal business meetings. We will share with you also our lifestyle services – discounts in many hotels and shops for you while paying with our card, several concerts and master-classes and exclusive products for Premium Bank members and many other exclusive offers. Higher interest rates for non term deposits. Free safe in Bank of Georgia and free courier service. This is Premium Bank package offer and it costs 220 GEL per year, after purchasing this package you will not pay any other commission ( for example now you pay even withdrawal commission from ATM). No withdrawal commission abroad too. Daily withdrawal limit 20 000 GEL (equivalent in other currencies) . Access to special lounges in airports ( 120 countries). Priority Pass card for free, each visit – 27$. High Class credit card American Express Platinum for free, which has also worldwide concierge service. If you take American Express card you get Priority Pass card for free and 5 free visits annually. as for Premum Bank CLUB service fee without coming to Georgia is 600 EUR +vat. With client presence, Premium Bank package fee is 200 EUR + VAT and Premium Bank CLUB 300 EUR + VAT.